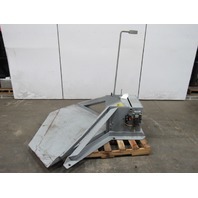 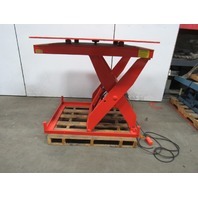 American Lifts P-36-020SF 2000Lbs. 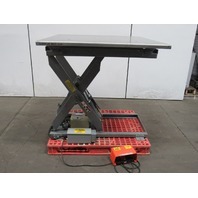 40" x 20" 110V 1Ph Scissor Lift Table 6"-44"
Econo Lift 3LDL3610 1000lb Capacity Hydraulic Scissor Lift 460V 56x48" 5"to 39"
Lift Products LPBL-20-2 2200Lb Scissor Lift Table 55x39" 115V 3-1/4"x35" HT. 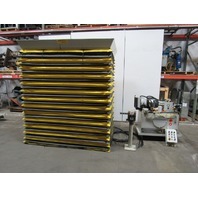 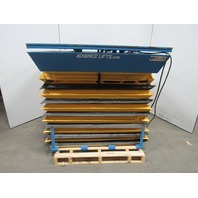 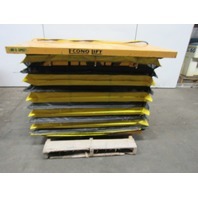 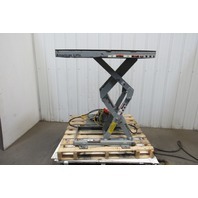 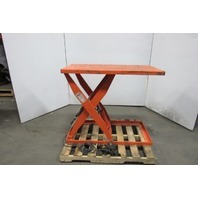 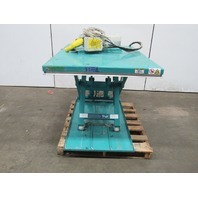 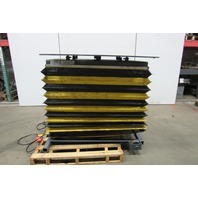 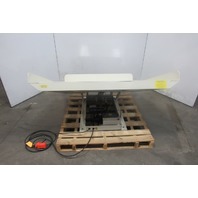 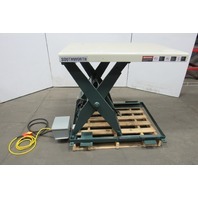 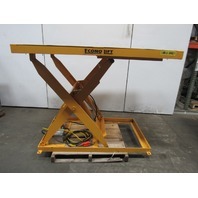 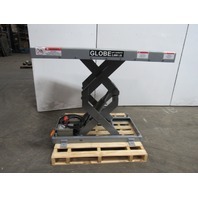 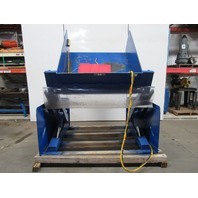 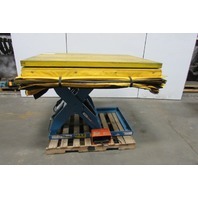 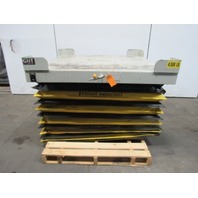 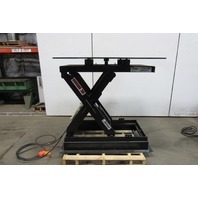 Econo Lift 3000Lb Scissor Lift 26° Tilt/Dump Table 100x72" 12-3/8" to 47-3/8"
American Lifts T-36-044 4000Lb Cap. 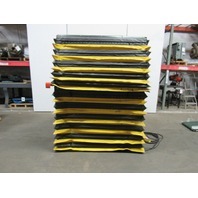 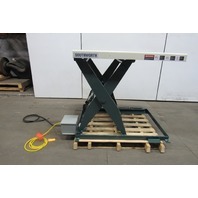 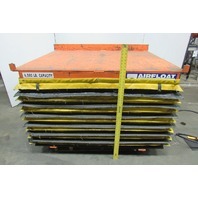 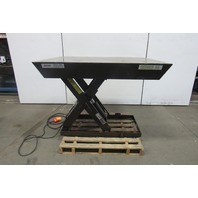 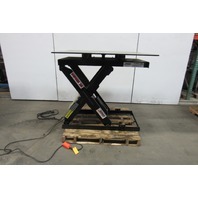 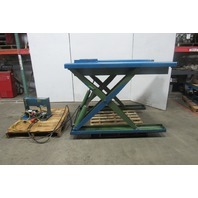 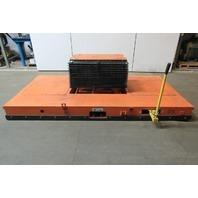 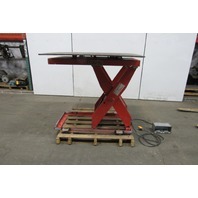 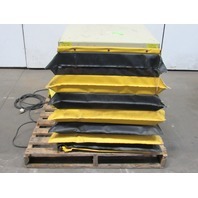 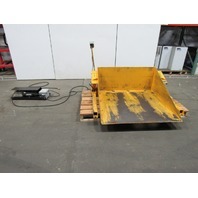 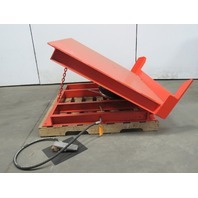 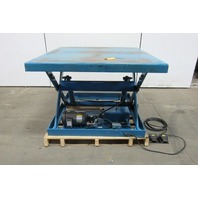 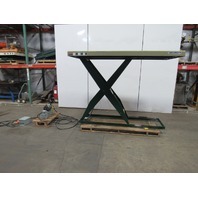 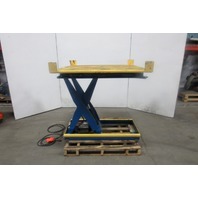 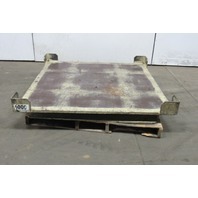 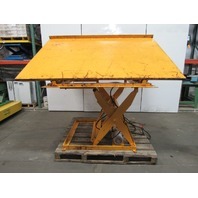 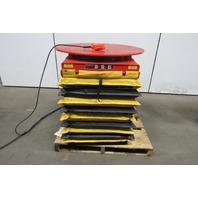 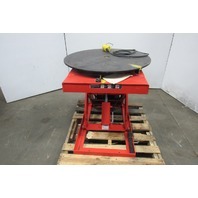 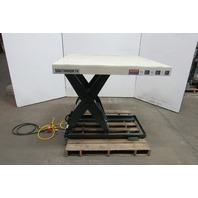 lift table 4'x4' SS Top 9-1/2"-45-1/2" Ht. 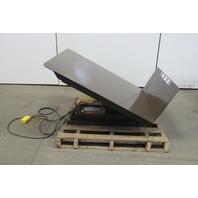 Eagle Group 30-300SP 2000lb Cap. 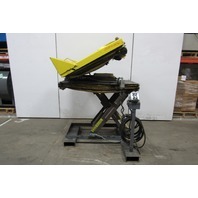 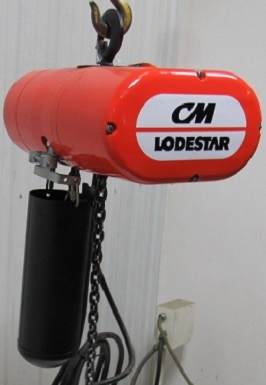 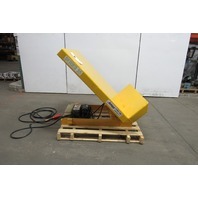 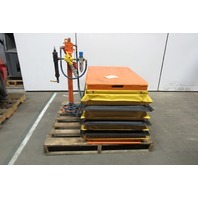 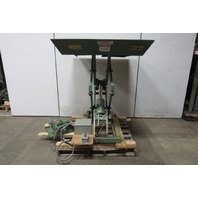 Pneumatic Air 45° Tilt Table 48"x48"
Vestil 6000 LB. 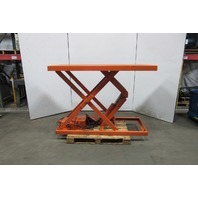 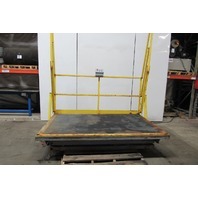 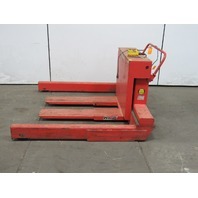 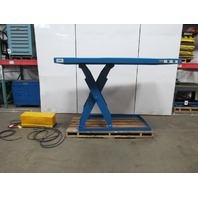 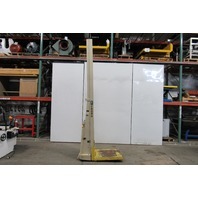 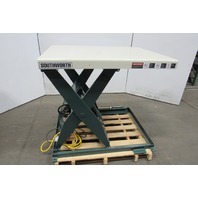 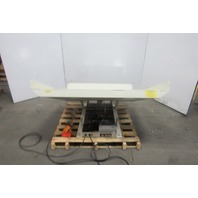 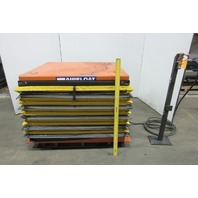 Lift Table Scissor Lift 96"x48" Top 7-1/2"-61"Ht.